Saturday, June 22, 2019, 1:30–2:30 p.m. This program is free for members and free with $5 admission for non-members (payable on the day of the program). Permaculture is more than just organic gardening—it's a radical yet highly accessible design philosophy comprising three core ethics and twelve design principles. 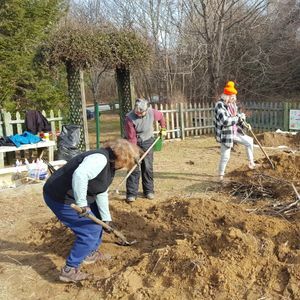 Join Chesapeake Conservation Corps member Emily Castle in the Arboretum's revitalized nature playspace to learn how the permaculture approach was used to cultivate an enticing, eco-functional garden. Walk away inspired and empowered to create your own backyard oasis!